A team of researchers supported by CNES has used the European space telescope to clearly identify a black hole weighing more than 500 solar masses. 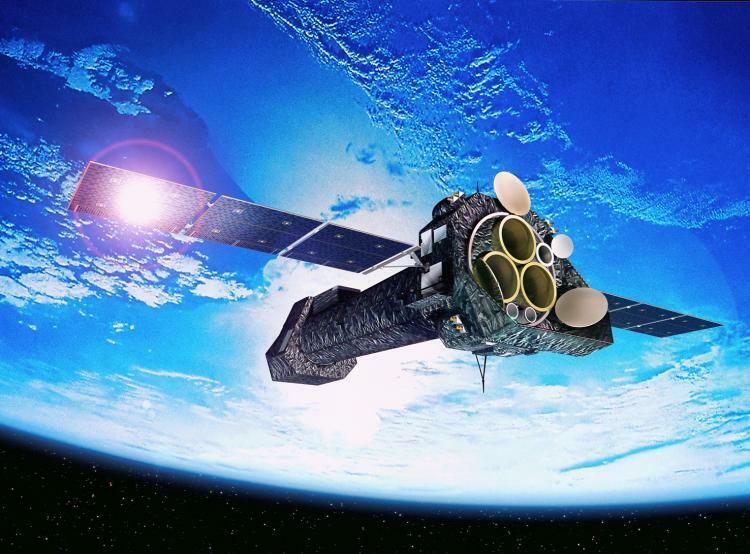 Artist’s impression of the XMM-Newton space telescope. Credits: ESA. "XMM-Newton is the most sensitive X-ray space observatory ever launched,” enthuses Natalie Webb, a member of the research team at CESR*, the French space radiation research centre. Launched 10 December 1999 by an Ariane 5, XMM-Newton has 3 telescopes, each with 58 concentric mirrors for a total surface area of 4,500 sq.cm. CESR, the DAPNIA** astrophysics, particle physics and nuclear physics department and the Strasbourg astronomy observatory, coordinated by CNES, jointly built and calibrated XMM-Newton’s instruments. They have since been working closely with the data centre to catalogue and characterize X-ray sources detected by XMM-Newton. Trawling recently through the source catalogue, the CESR team discovered a new source from observations on 23 November 2004 and 28 November 2008. Artist’s impression of a black hole with its accretion disk. Credits: ESA. 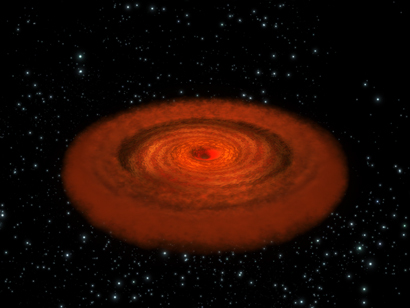 "Primary analysis of the data initially seemed to point to a binary system composed of a black hole weighing a few solar masses and its companion star,” recounts Natalie Webb. 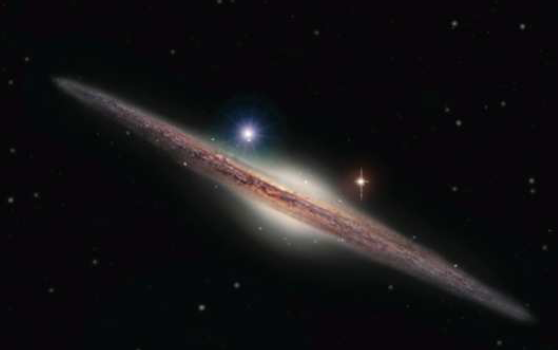 But after refining its analysis and checking and re-checking, the team found that the new source lies in a region 290 million light years (2,740 billion billion km) from our planet. Artist’s impression of HLX-1. Credits: CNRS/INSU/Ill. Heidi Sagerud. “At such a great distance, the source must be extremely bright, emitting X-rays nearly 260 brighter than our own Sun. We’ve called it HLX-1,” says Natalie Webb. The only physical explanation for HLX-1’s observed characteristics is that it must be a black hole weighing more than 500 solar masses. This makes HLX-1 the brightest X-ray source ever detected and puts it in the long-sought-after category of intermediate-mass black holes. * Centre d’Etude Spatiale des Rayonnements de Toulouse. ** Département d'Astrophysique, de Physique des particules, de physique Nucléaire et de l'Instrumentation Associée, a department of CEA, the French atomic energy agency.